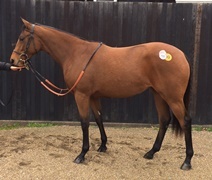 This strong looking filly is by Coventry and Dewhurst winner War Command who has a very creditable 44% winners to runners rate from his first crop in 2018, she is out of a half sister to Group 2 placed Groovejet and is closely related to multiple Graded stakes winner Slim Shadey. She is such a pretty filly, a real ladies’ horse - a striking grey with a white blaze and an early birthday. She is from the first crop of speedy 2 year old Gutaifan, the winner of the Group 2 Prix Robert Papin, her dam is three winners from 3 runners and is closely related to sire Intikhab. 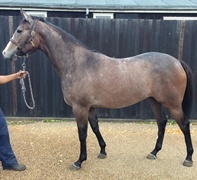 This attractive filly is from the exciting first crop of 2015 Derby winner Golden Horn, who was also the champion 3 year old colt in Europe and is from a strong Juddmonte bred family with a host of Group and Graded winners, including sires Three Valleys and Scissor Kick and in her third dam Juddmonte’s blue hen mare Hasili, dam of Banks Hill, Dansili and Champs Elysees among others. 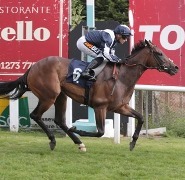 We have sold five of the six shares available so there is still an opportunity to get involved. We have found the 3-horse syndicates are particularly appealing to owners as they provide more interest and increase the odds of success. Farrier fees and minor veterinary charges. 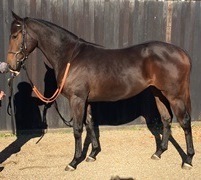 Each shareholder will pay their share direct to the Syndicate’s Weatherbys account on 1st of each month. Through the Weatherbys VAT reclaim service, the account will recoup all VAT on training fee invoices and the original purchase price. This money goes back into the account and accumulates along with any prize money and sale of horses at a later date. If you would like to be involved in THE MUSKETEERS with Rae Guest Racing please contact us as soon as possible to discuss your interest. Please note that shares can be shared! If you have any questions regarding the above, please do not hesitate to contact us on 01638 661508 or ring Rae on 07711 301 095.